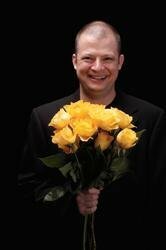 Jim Norton is stand-up comedian who is best known for his extremely raunchy brand of humor. He was a regular on both seasons of Comedy Central's Tough Crowd with Colin Quinn, played the caustic Rich on HBO's Lucky Louie, and has starred in his own HBO comedy specials. He has also cohosted the AVN awards twice, and performed his stand-up all over the country. He is the author of two books and lives in New York City.